This document gives information about the WAI-DA project. It is both a guide for people tracking the project from a management point of view and the home page of the project for its participants/partners. WAI-DA is a European Commission IST Accompanying Measure whose goal is to increase accessibility of the Web in European Union member states. This objective will be accomplished by supporting and accompanying the technical and guidelines development work done at W3C WAI with educational and tools-related activities that are specific to the European context. Judy Brewer (W3C/MIT, jbrewer@w3.org) and Daniel Dardailler (W3C/INRIA, danield@w3.org) are the contact persons for the project and W3C/INRIA is the Prime Contractor. The project was designed during the first half of 2000 and officially started on October 1st 2000. In early 2001, we selected our two subcontractors: BrailleNet, in the person of Sylvie Duchateau, and ISdAC with Carlos Velasco. This accompanying measure supports the overall Design-for-all (V.1.3 CPA3) cross-programme theme. 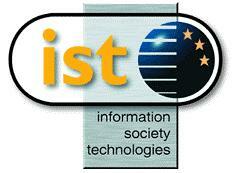 It is not attached to a specific action of the IST Programme. WAI-DA is a follow-on action to the Fourth Framework WAI-DE support measure funded by Telematics for Disabled and Elderly, and further builds European involvement in W3C as a follow-on to the Fourth Framework W3C-LA project funded by ESPRIT.